A colleague of mine served on a task force that developed our IRB policy for QI and education studies, and I asked her to write a commentary on requiring IRB approval for education projects. 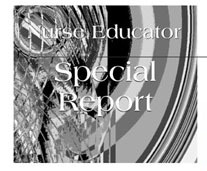 The article has been published in Nurse Educator. The authors also include the template they developed for submitting education studies to the IRB (that in itself would be helpful to educators). We were able to publish this as an open access article so others can read and share it. The article is published Open Access and can be found on the Nurse Educator website. Thank you for this resource, Marilyn! This entry was posted in Announcements, Editorial Standards, Resources by Leslie. Bookmark the permalink.